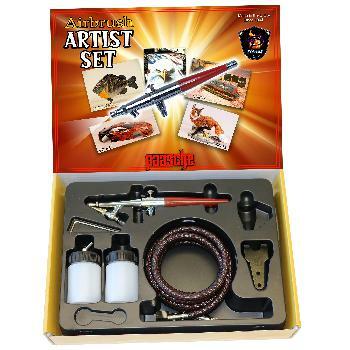 The airbrush features a chrome plated body and parts for durability and is installed with the medium size head. The H single action allows the user to achieve fine lines down to 1/16 inch and wider patterns of up to 1-1/2 inches. The H is simple and easy to use and requires very little practice compared to single action models. The best uses are those requiring more basic spraying like solid coats, uniform lines or stencil work. 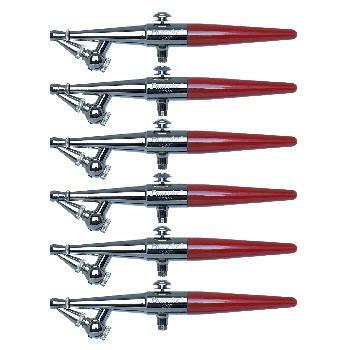 Clean up is as simple as spraying your paint cleaner though the airbrush. The H is used for many applications including hobby, craft, chip and ding repair, taxidermy, ceramics, cake decorating, tanning, tattoos, etc. 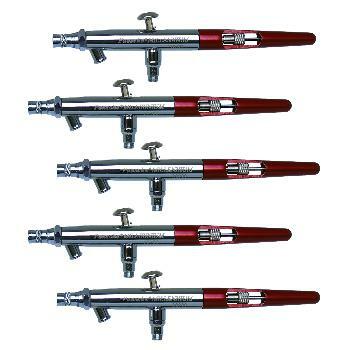 The H airbrush is made in the US and includes the following: H#3 airbrush only and manual. 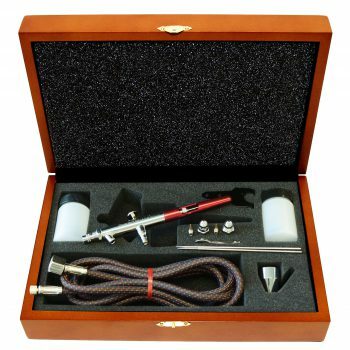 The H airbrush is perfect for beginners or those requiring quick and easy spraying. Achieve patterns of 1/16 inch to 1-1/2 inch. Made in the USA. Spray Pattern 1/32" to 1 1/2"
The HS airbrush features a unique threaded bottle fitting for the most secure paint bottle connection. 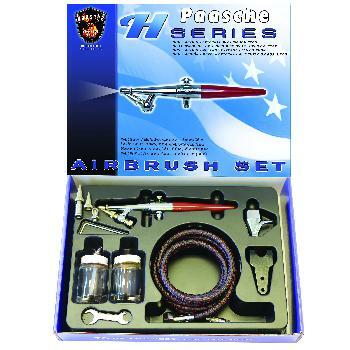 The airbrush features a chrome plated body for durability. 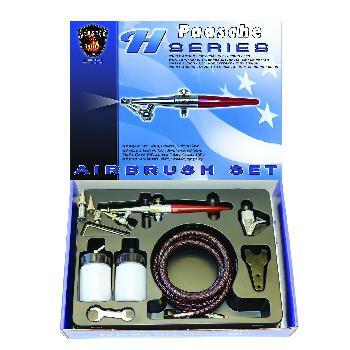 Included with the airbrush are all three available spray heads, which allow the H airbrush to be used in a wide range of application. The H single action allows the user to achieve fine lines down to 1/16 inch and wider patterns of up to 1-1/2 inches. It simple and easy to use and requires very little practice compared to double action models. The best uses are those requiring more basic spraying like solid coats, uniform lines or stencil work. 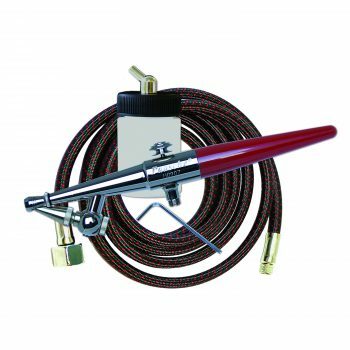 Clean up is as simple as spraying your paint cleaner though the airbrush. The H is used for many applications including hobby, craft, chip and ding repair, taxidermy, ceramics, cake decorating, tanning, tattoos, etc. 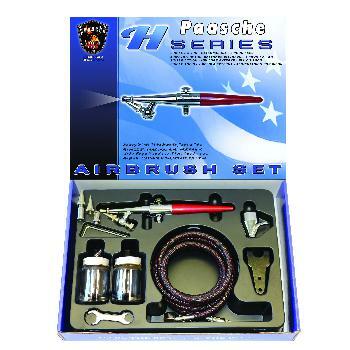 The H airbrush is made in the USA.